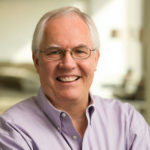 Before we found Bill Erickson, creating websites for our law firm clients was like assembling inexpensive furniture — attach part A in slot B and it will do C. With Bill, there are no standard parts and no limitations on what the site can do. On our first site together, he understood the bells and whistles needed to satisfy the client and interest those visiting the site. We’ve used him several times since then and plan to continue. This guy’s the real deal. 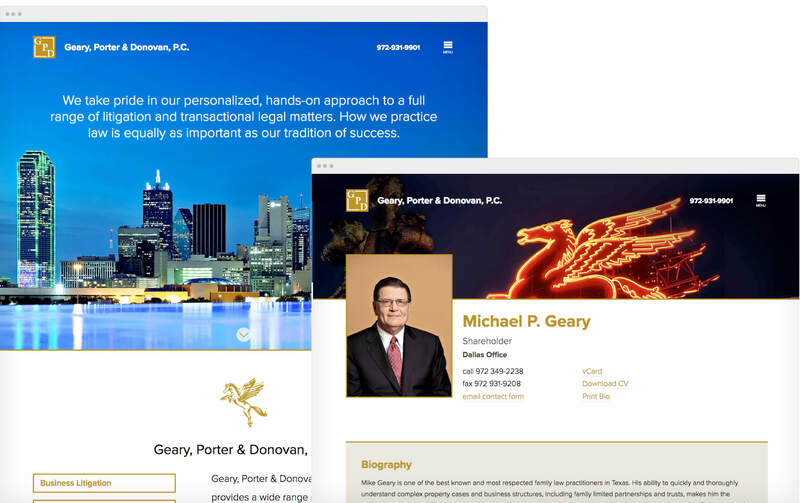 Each attorney has a page featuring their biography, areas of practice, awards, videos, and more. I built an easy-to-use backend for managing this rich content so that the attorneys themselves could update their profiles going forward. Each practice area acts as a landing page for that particular service. Attorneys are connected to practice areas, and their information is dynamically included on the page. The website was designed to look great on the client’s wall-mounted plasma in the lobby, as well their iPhones, and all devices in between. Images were optimized so that the site would load as fast as possible while still having eye-catching imagery.